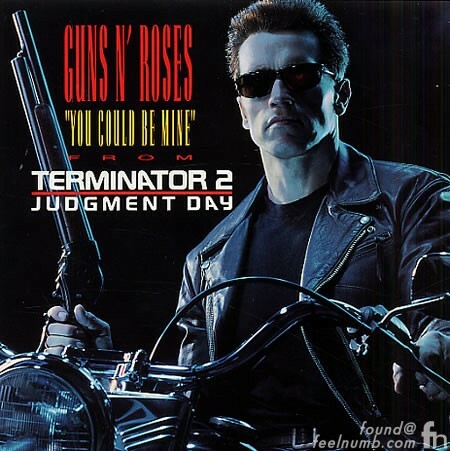 The theme song for the 1991 blockbuster film Terminator 2: Judgement Day was “You Could Be Mine” by Guns N’ Roses. GN’R & T2 did a great job of cross promoting the single with the movie. The cover of the single features the “T-800” Arnold Schwarzenegger holding a shotgun and sitting atop his motorcycle. Schwarzenegger is even featured in the music video along with clips from the movie. 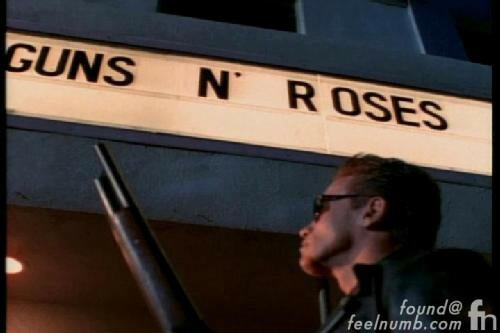 Here is a few of the subtle Guns N’ Roses/Terminator 2 tie ins. 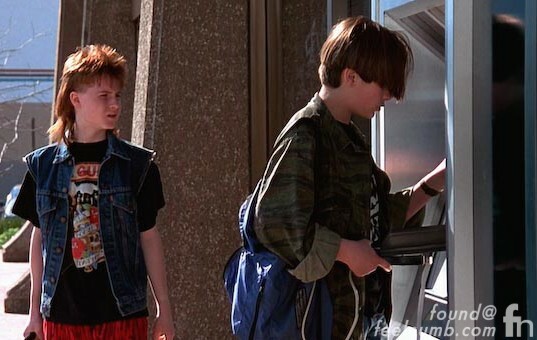 John Connor’s friend Timmy (played by my actual friend in real life) Danny Cooksey sports a Guns N’ Roses (L.A. Guns) t-shirt in the movie. Arnold Schwarzenegger when walking through the hall of a mall pulls a gun from a box of roses. Get it??? There is a gun in those roses. 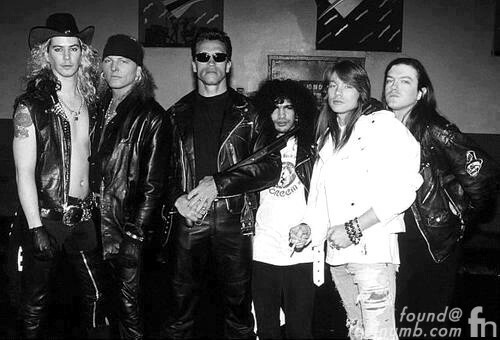 Guns N’ Roses!!! Here’s another movie/music tie in.